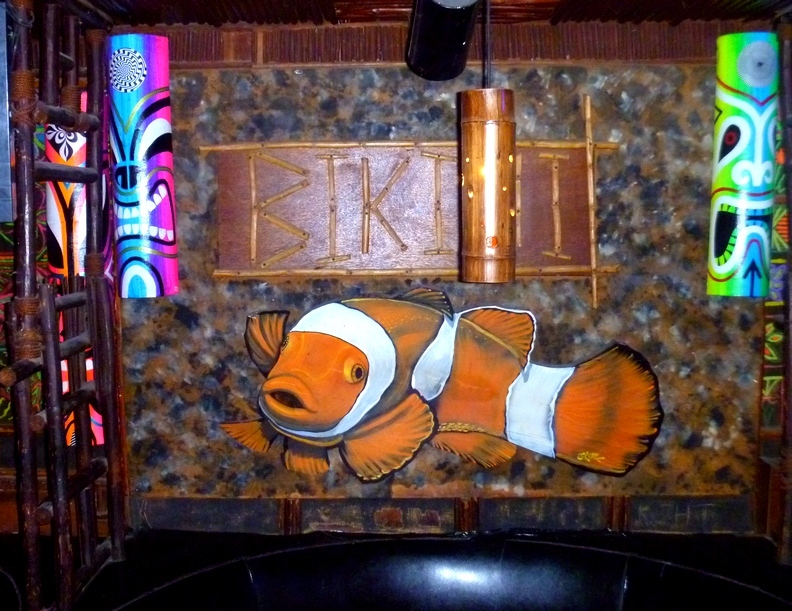 I had few expectations of the Bikini Lounge -- I envisioned just a dive bar with a cardboard thick devotion to the tiki theme. I was delightedly surprised. 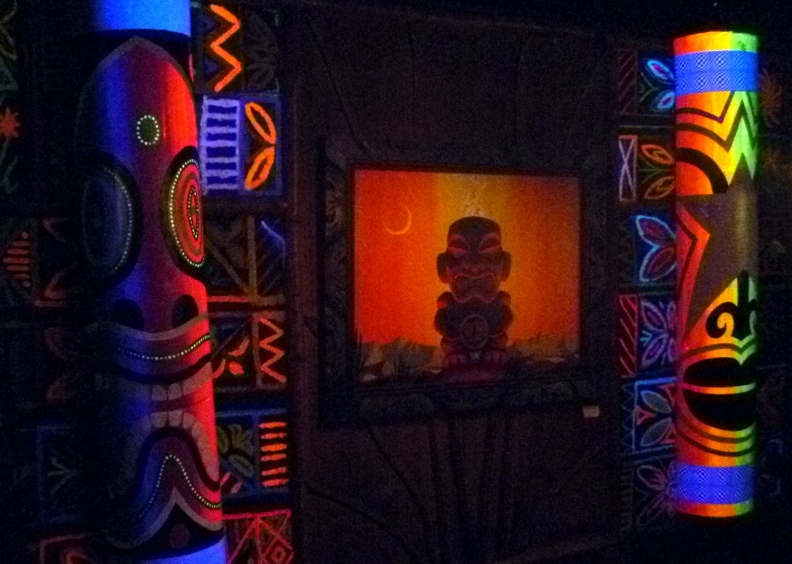 It certainly is divey, as many of the best tiki bars are, and it has its insensate, day-glo tiki after-thoughts. 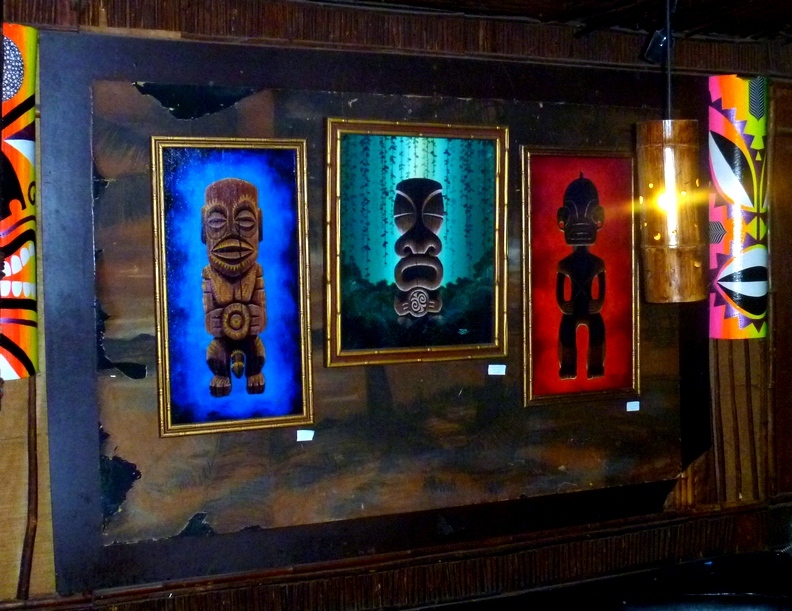 But it also has aged charm and quirky appeal. 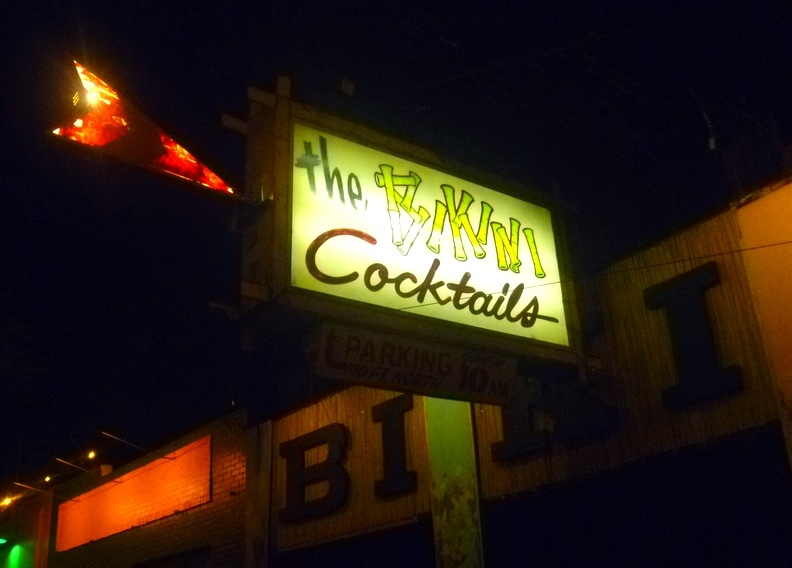 Duane, the bartender (and member of the band Iconoclast, although I imagine they spell it differently), happily told us a few stories of the place, with many of the items dating back to its 1947 founding. 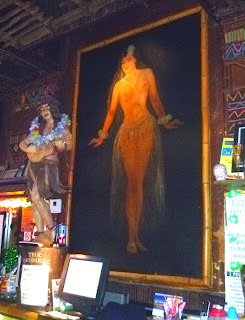 The centerpiece hula girl painting behind the bar is said to be to have the head of the original owner's wife and the body of his mistress. 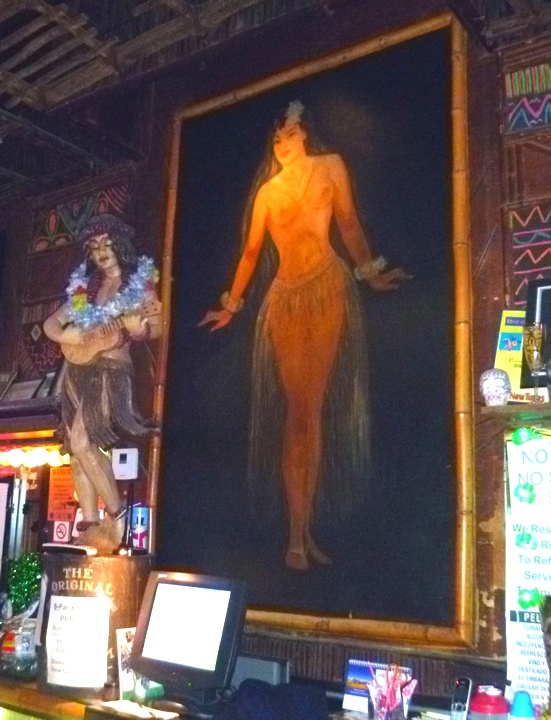 While it was owned by a gay couple, the hula girl apparently had her breasts painted over and the grass skirt added, then the subsequent owner restored the bosom to its former glory. The New Times claims that this is the oldest bar in Phoenix. 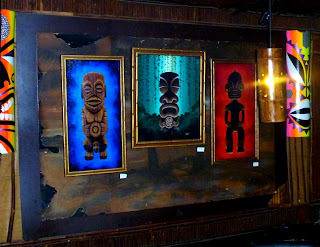 Basically, it has an earnest quantity of tiki, and everything a you need for a dive bar of integrity, including the location in a dicey neighborhood. I don't imagine that I will ever go to Phoenix again without stopping in.